PIHER Sensors Controls SA is a world leader in custom control and sensor solutions. Founded in 1950 in Barcelona, Spain, PIHER is a manufacturer and distributor of sensors, trimmer and rotary potentiometers, resistors, rotary switches and others. All products conform to all international standards and are well known worldwide. Trimmer potentiometer 10MOhm, single turn, linear, THT Single turn trimmer potentiometer with resistance 10 MOhm, for THT mounting. 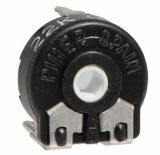 Trimmer Potentiometer 100Ohm, Single Turn, Linear Type, THT Carbon trimmer vertical potentiometer single turn with resistance 100 Ohm, THT mounting. 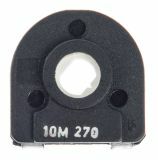 Trimmer Potentiometer 250Ohm, Single Turn, Linear Tape, THT Carbon trimmer horizontal potentiometer single turn with resistance 250 Ohm, THT mounting. 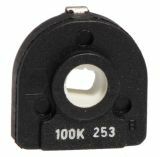 Trimmer Potentiometer 470Ohm, 0.5W, Single Turn, Linear Tape, THT Trimmer potentiometer single turn with resistance 470 Ohm, power 0.5 W, THT mounting. For a technical chart and dimensions see the attached file! 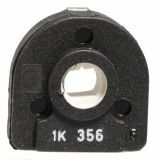 Trimmer Potentiometer 1kOhm, 0.5W, Single Turn, Linear Type, THT Carbon trimmer potentiometer single turn with resistance 1 kOhm, power 0.5 W, THT mounting. For a technical chart and dimensions see the attached file! Trimmer Potentiometer 10kOhm, 0.5W, Single Turn, Linear Type, THT Trimmer potentiometer single turn with resistance 10 kOhm, power 0.5 W, THT mounting. For a technical chart and dimensions see the attached file! Trimmer Potentiometer 10kOhm, 0.5W, Single Turn, Linear Tape, THT Carbon trimmer potentiometer single turn with resistance 10 kOhm, power 0.5 W, THT mounting. For a technical chart and dimensions see the attached file! 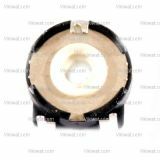 Trimmer Potentiometer 10kOhm, 0.5W, Single Turn, Linear Type, THT Carbon trimmer potentiometer single turn with resistance 10 kOhm, power 0.5 W, THT mounting. For a technical chart and dimensions see the attached file! 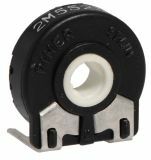 Trimmer Potentiometer 25kOhm, 0.5W, Single Turn, Linear Tape, THT Carbon trimmer potentiometer single turn with resistance 25 kOhm, power 0.5 W, THT mounting. For a technical chart and dimensions see the attached file! 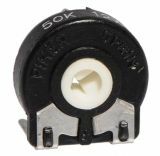 Trimmer Potentiometer 50kOhm, 0.5W, Single Turn, Linear Tape, THT Trimmer potentiometer single turn with resistance 50 kOhm, power 0.5 W, THT mounting. For a technical chart and dimensions see the attached file! 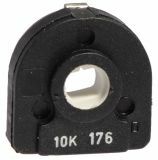 Potentiometer Slide, 470kOhm, 0.25W, Logarithmic Tape, Mono Graphite slide potentiometer logarithmic tape mono with resistance 470 kOhm, power 0.25 W, THT mounting. For a technical chart see the attached file! Trimmer Potentiometer 100kOhm, 0.5W, Single Turn, Linear Tаpe, THT Carbon trimmer potentiometer single turn with resistance 100 kOhm, power 0.5 W, THT mounting. For a technical chart and dimensions see the attached file! 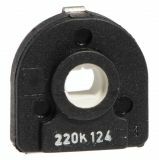 Trimmer Potentiometer 220kOhm, 0.5W, Single Turn, Linear Tape, THT Carbon trimmer potentiometer single turn with resistance 220 kOhm, power 0.5 W, THT mounting. For a technical chart and dimensions see the attached file! Trimmer Potentiometer 2.5MOhm, 0.5W, Single Turn, Linear Type, THT Trimmer potentiometer single turn with resistance 2.5 MOhm, power 0.5 W, THT mounting. For a technical chart and dimensions see the attached file!